On the heels of winning the prestigious 2011 Stevie Award for “Website of the Year,” Little PINK Book assembled some of the country’s most successful female executives to discuss women’s leadership in corporate America. 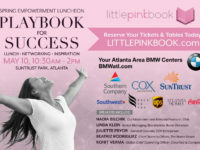 ATLANTA, Dec. 1, 2011 /PRNewswire-iReach/ — Little PINK Book presented its 7th Annual Fall Empowerment Series, to advance women in business, in Atlanta and New York City on November 10 and November 17, respectively. The sold-out luncheons featured panels of prominent female business leaders discussing career advancement strategies. The NYC event was streamed live online to Little PINK Book e-note subscribers worldwide and to female employees of corporations including Deloitte & Touche, Newell Rubbermaid, Walmart, AIG and Procter & Gamble, thanks to technology sponsor Accenture. Panelists and award winners shared key takeaways with attendees that can be found on the event page of LittlePINKBook.com. Little PINK Book surveyed the hundreds of professional women who attended the Fall Empowerment Series events and found that even in this economy more than 65 percent say joy and a sense of purpose are most important; beating flexibility, pay and job security. In addition, they would rather earn more money (59.4%), than have time off (40.6%). Sponsors and supporters of this year’s event included The Coca-Cola Company, Chartis, FedEx, Accenture, Southern Company and The Setai Fifth Avenue. Proceeds benefited the Lupus Foundation of America. 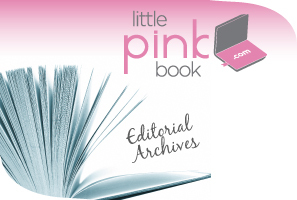 About: Little PINK Book is the #1 digital platform for career women – the only global online community, free daily e-note (delivered right to your inbox, with over one million e-notes going out each month) and national event series exclusively for professional women.